Want Exclusive Access to NEW Products? With Celebration 2018 right around the corner, any seasoned Customer will know, new products are on the way. We can happily confirm that some highly anticipated products are coming to Celebration! We’ve heard your requests and made them happen. This year however, there’s a twist! We’re making things a bit more exclusive for our Celebration attendees and if you’ve already got your ticket, you’re going to love this announcement. 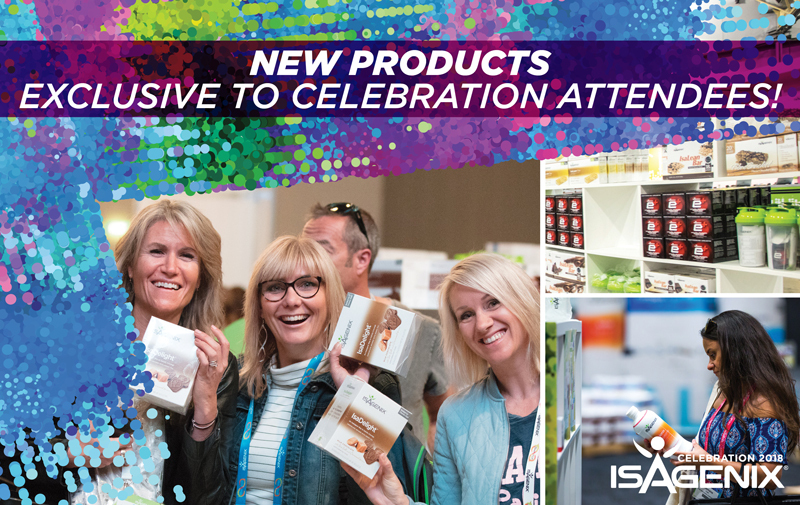 This year, ALL new products launched will be EXCLUSIVE to Celebration attendees. Only at a later date will they be available in the Back Office and available to all Customers. So, if you want to be the envy of all your friends and stock up on the highly requested new products, you need to get to Celebration. It’s a no-brainer! Spread the news, get yourself and your friends there! If you haven’t got your ticket, head to ANZ.IsagenixEvents.com to grab yours before they’re gone!